Chief Brian Fengel was sworn in as President on April 27, 2018. Fengel is Chief of Police for the Bartonville Police Department. Chief Fengel has been in the law enforcement field for 30 years. He has been with the Bartonville Police Department for 25 years and has been the Chief of Police since 1998. 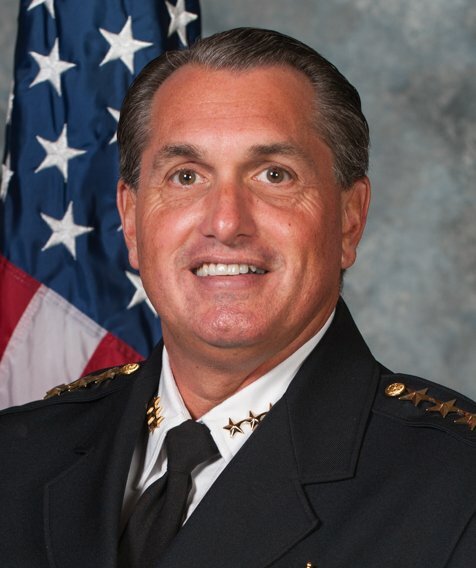 Chief Fengel is a 2001 graduate of the FBI National Academy, session #201, and is currently President of the Railsplitters Division of Illinois, FBI NA. He also has over 6,000 hours of Police-in-Service Training and specialized in senior law and scams/frauds as well as drug enforcement and juvenile-related crimes. He teaches Criminal Investigation at Illinois Central College in East Peoria, Illinois. He spends many hours also speaking to groups about scams and frauds. He worked at the Utah Olympics Public Safety Command in February 2002 as a police officer assigned with the Secret Service at the Olympic Village. 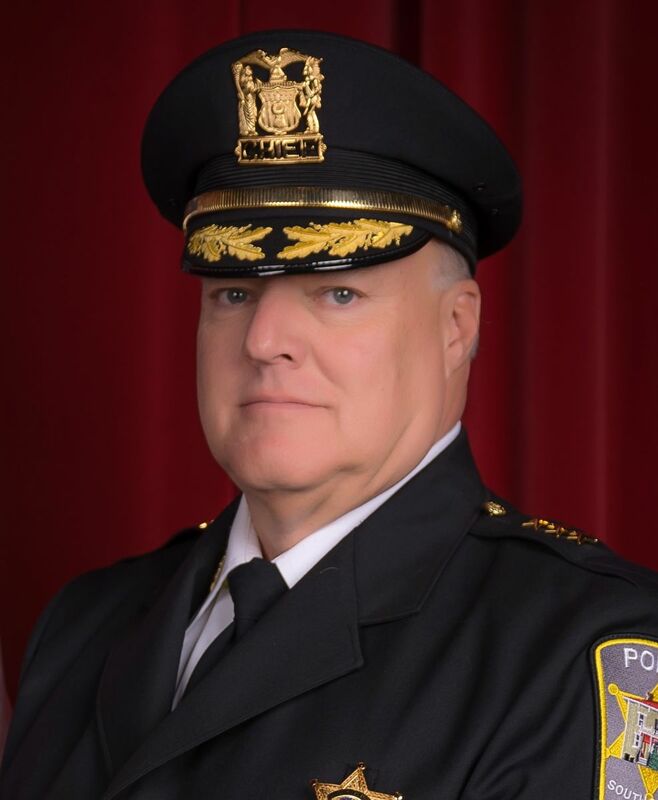 He currently serves on various Boards including a position on the Illinois State Auto Theft Prevention Council, Active Member of the Illinois Association of Chiefs of Police since 1998, and past member of the Executive Board, Past President of the Peoria County Chief's Association, and served on Illinois Chief's Association Juvenile Justice Committee, Past President and current Board member of Multi-County Narcotics Enforcement Group Drug Task Force Board (PMEG), Treasurer of the Central Illinois Emergency Response Team Board, and Past President and current Board member of the Illinois Mobile Training Unit #7, and Board Member of The Child Advocacy Center. Chief Fengel has also served as a member of the Illinois State Law Enforcement Medal of Honors Committee, and the past Chairman of the Peoria County Triad. Chief Fengel was awarded the State of Illinois Elderly Service Officer of the Year 2012, sponsored and presented by the Illinois Attorney General's Office, in October 2012, and was a finalist in the American Legion Officer of the Year for the State of Illinois in July 2013. Chief Steven Stelter was sworn in as Chief of Police in Westchester in February 2016 after serving as Chief of Police for the Brookfield Police Department from 2007 to 2015. 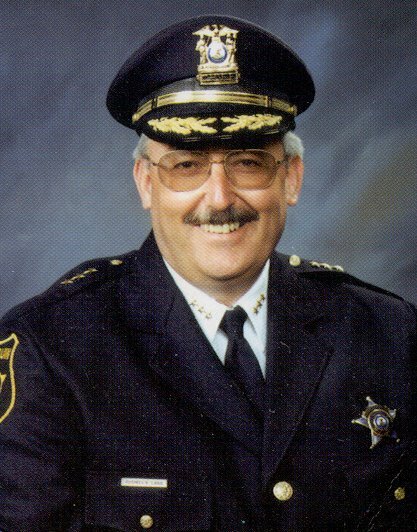 Prior to his appointment in Brookfield, Chief Stelter spent twenty-eight years with the DuPage County Sheriff’s Office. 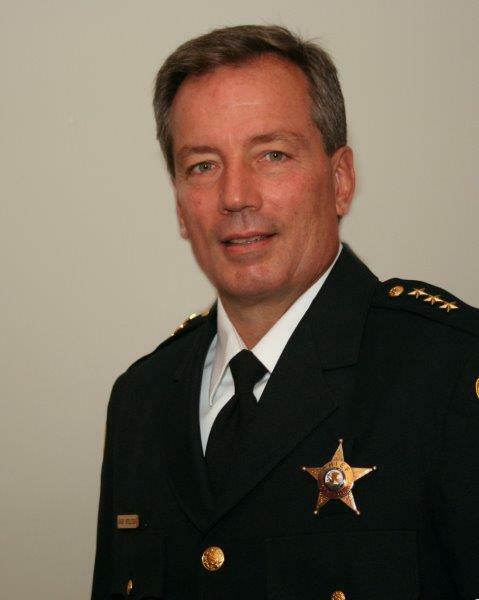 During his tenure with the DuPage County Sheriff’s Office, Chief Stelter held positions as a field training officer, patrol sergeant, community policing supervisor, patrol watch commander and ended his tour as the Deputy Director of the DuPage County Auto Theft Task Force (BATTLE). Chief Stelter was a law enforcement trainer for twelve years training officers for the Illinois State Police as well as serving as an adjunct instructor for the Suburban Law Enforcement Academy (SLEA) at the College of DuPage. Chief Stelter spent thirteen years with the Special Operations Unit (SWAT) where he began as a team member and advanced to team leader where he held that position for five years specializing in Less Lethal Force. In 2010 Chief Stelter completed the Federal Bureau of Investigations National Academy, Session 241. In 2000, Chief Stelter successfully completed Northwestern University’s School of Police Staff and Command, Class #144. Chief Stelter served in the United States Army from 1976-1979 and holds a Bachelor’s Degree in Criminal Justice and a Master’s Degree in Public Safety Administration from Lewis University in Romeoville, Illinois. He is currently Illinois' representative to the State Association of Chiefs of Police (SACOP), a branch of the International association. James Black is Chief of Police for the Crystal Lake Police Department. Chief Black began his career in 1988 with the Downers Grove Police Department. He retired from Downers Grove in January 2013 as Deputy Chief to accept the Chief of Police position for the City of Crystal Lake. Jim's educational background includes a Bachelor’s Degree in Criminal Justice and a Master’s Degree in Criminal/Social Justice from Lewis University in Romeoville, IL. He is a graduate of Northwestern University's School of Police Staff and Command, a graduate of the 235th Session of the FBI National Academy, and a graduate of the 75th Session of FBI LEEDS. 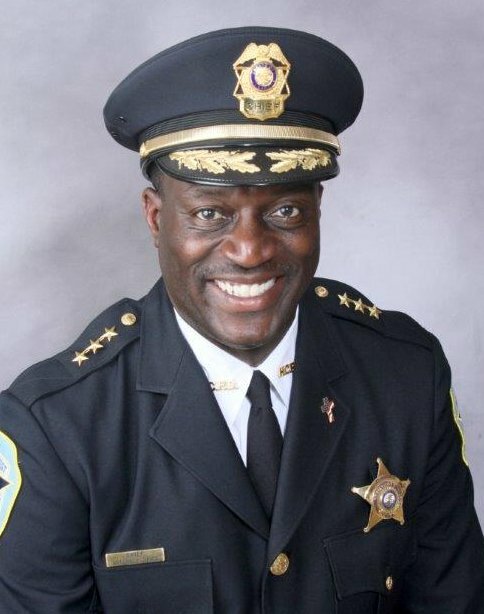 Chief Black has served on the ILACP Executive Board, the ILACP Constitution and Bylaws Committee as Chairman, the McHenry County Chiefs of Police Association Executive Board, and the North East Multi-Regional Training (MTU #3) Finance and Audit Committee. Jim Black is married for 26 years to his wife, Kim; they have two children: daughter Alexis (19) and son Nathan (16). Chief Mitchell R. Davis was elected 3rd Vice President on April 25, 2018. He is Chief of Police for the Hazel Crest Police Department. He started his law enforcement career with the Park Forest Police Department in 1991. In Park Forest, he served in many capacities, such as investigator, evidence technician, juvenile officer, SWAT officer, DARE instructor, EDGE instructor, and others. He was selected as the 1996 Police Officer of the Year for his work as a detective in the department. He was also part of the first group of detectives that made up the South Suburban Major Crimes Task Force. In 2001, he left the Park Forest Police Department and took his first Chief of Police position with the Dixmoor Police Department. He later became Chief of Police for the Robbins Police Department, before going to Hazel Crest. Chief Davis is pursuing his PhD in Organizational Leadership at Concordia University of Chicago, and holds a Master of Science Degree in Criminal Justice from the University of Cincinnati, and a Bachelor of Arts Degree from Governors State University. He is also a graduate of Northwestern University’s School of Police Staff and Command, class #182. Chief Davis was recognized as the 2018 Police Chief of the Year by the Illinois State Crime Commission, and is the 2018 recipient of the Ed Van Ley Community Service Award from the District 205 Academic Enrichment Foundation. Chief Davis is a member of the National Organization of Black Law Enforcement Executives (NOBLE), where he is a member of the National Executive Board and the National Education and Training Committee. He is also a Past Chapter President and current Executive Board member of the Chicagoland Metropolitan Chapter. Chief Davis was appointed to the Executive Board for the Illinois Association of Chiefs of Police by President James Kruger in 2017. He is also a representative for the organization on the State of Illinois Criminal Justice Coordinating Advisory Council, which addresses criminal justice reform. He is an evaluator for the ILACP Assessment Center Service. Chief Davis was appointed to the International Association of Chiefs of Police (IACP) Juvenile Justice and Child Protection Committee in 2017, and sat as a presenter on two panels at the 2017 IACP Conference. Chief Davis serves as an Executive Board member and Training Committee Chairperson for the South Suburban Association of Chiefs of Police. Chief Davis serves as the chairman for the Southland Juvenile Justice Council, which seeks to divert juveniles in south suburban Cook County from the criminal justice system. He is a member of the NBC 5 Community Action Board, which is an advisory board that works to display positive images and activities in our communities in the media. He served as a member of the Cook County Gun Violence Task Force, which developed suggestions to reduce gun violence in Cook County. He serves as an executive board member of the E-Com Consolidated Dispatch Center, which services nine south suburban communities of Chicago. He also serves as a member of the Cook County Interoperability Advisory Council, which works to ensure interoperability between agencies in Cook County and statewide. Chief Davis is a certified trainer and facilitator for NOBLE’s “The Law and Your Community.” He developed and taught life-skills classes for the Nike Corporation for 13 years to professional basketball prospects. He also developed and taught a 10-week life-skills program for homeless inter-city young men who are HIV positive, gay, and homeless. He was a guest presenter at Governors State University for 10 years, and was a professor in the Criminal Justice Department for Westwood College. He has also served as a Police Liaison Officer for 27 years at south suburban Chicago high schools. Chief Davis frequently travels the country as a guest speaker and trainer for organizations such as NOBLE, IACP, ILACP, Georgia Association of Chiefs of Police Association, Atlanta Police Department Command Staff, Congressional Black Caucus, as well as others. He has also developed and presents classes such as Leadership in Law Enforcement from a Black Chief’s Perspective, Law Enforcement and the Minority Community, and Courageous, Inclusive Leadership in Law Enforcement. Bill Kushner was appointed to the Chicago Police Department on January 3, 1977. Bill served as a patrol officer, tactical officer, detective, and instructor at the Chicago Police Academy. In 1988, Bill was promoted to Sergeant; after working as a street Sergeant, Bill was reassigned to the Academy to supervise specialty training, ranging from crowd control tactics for World Cup Soccer to motorcycle instructor training. Bill was in charge of Hazardous Materials training for the Chicago PD. Promoted to Lieutenant in 1998, Bill was assigned as a Tactical Operations lieutenant, and had served as Officer In Charge for several major events ranging from July 3rdFireworks on the Lakefront to Taste of Chicago and the Bud Biliken and South Side Irish Parades; Bill was subsequently transferred to the Organized Crime Division where he commanded the Criminal Enterprise Investigations Group. The CEIG was responsible for Asset Forfeiture, Money Laundering and Mortgage Fraud investigations, as well as being the “home unit” for CPD personnel assigned to federal task forces. 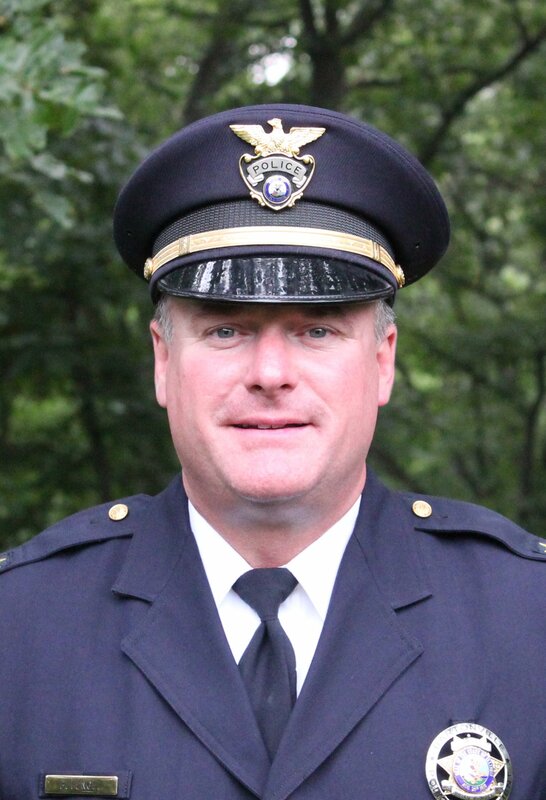 After participating in a selection process run by the Illinois Association of Chiefs of Police, Bill was selected to become Chief of Police in Berwyn, Illinois. Bill held that position from January, 2006 until March 2010. In November, 2010, he was tapped to help the Village of Lakemoor with their PD, and served with LPD from November 2010 through September 2012, at which time he was recruited to take over the Des Plaines Police Department. Bill has served as a course evaluator for the ILETSB, adjunct faculty for several universities, and has published articles in various law enforcement magazines. Bill and his wife Cathy have been married for 37 years, have two children and two grandchildren. Chief Dean Stiegemeier is a dedicated public servant with + 40 years of progressive law enforcement experience. Chief Stiegemeier started his law enforcement career in 1977 with the Carpentersville Police Department, working his way through the ranks to Deputy Chief. He left Carpentersville in 2011 to become the Chief of Police for the City of South Beloit, Illinois. In January 2018, he became Chief of Police for the Maple Park, Illinois Police Department which is known for its dedicated support of Special Olympics of Illinois – number three fund in the state (2018). Chief Stiegemeier holds a Bachelor of Arts in Criminal Justice Management and a Master of Arts in Organizational Leadership from Judson University, Elgin, Illinois. He is a graduate of Northwestern University School of Police Staff and Command as well as a Certified Police Chief through the Illinois Association of Chiefs of Police. Stiegemeier is a member of the International Association of Chiefs of Police and a member of the Kane County Chiefs of Police Association. He is a past member of the Winnebago County Emergency Telephone Systems Board (E-9-1-1), the Winnebago – Boone Integrity Task Force and past Director of the Northern Illinois Training Advisory Board (MTU-2). 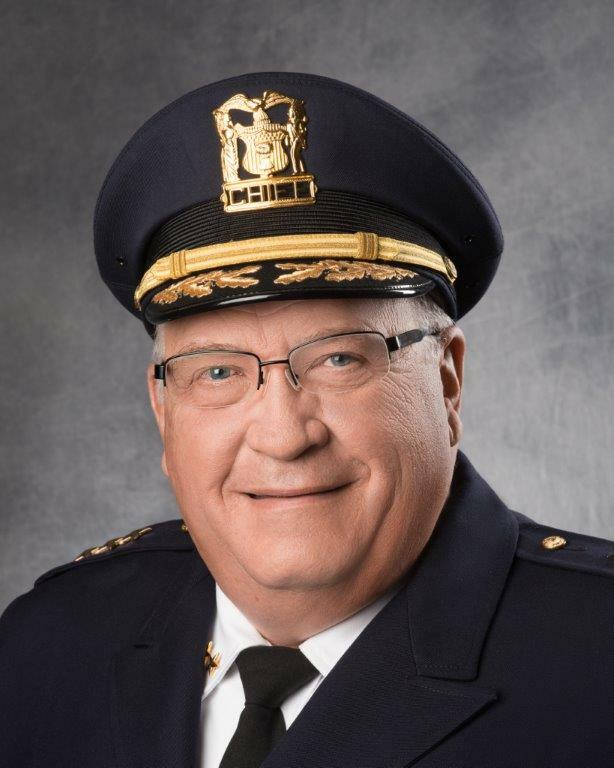 Chief Stiegemeier is a past Vice President of Community Unity School District 300 Board of Education, past Chairman of the Village of Gilberts Board of Police Commissioners (where he is still a member), and past Chairman of the Village of Gilberts Zoning Board of Appeals. He is a 3rd degree Master Mason - Dundee Lodge #190 and a member of the Scottish Rite Consistory of Freeport – 32nd degree Mason. Chief Stiegemeier is a married to his wife of 40 years, Peggy, has two wonderful grown daughters and two beautiful granddaughters. Chief Dan Ryan started his law enforcement path in 1995 as an Auxiliary Deputy with the Sangamon County Sheriff's Department. In 1996, he was hired as a Civil Process Server with Sangamon County and then as a Part-Time Officer in Pleasant Plains, IL. He was hired in 1997 as the Assistant Coordinator of Police Training with the Law Enforcement Training Advisory Commission. In 1998, Chief Ryan took over the duties of Police Training Coordinator for LETAC, where he still serves today. In the winter of 1998, Chief Ryan was selected as a part-time officer with the Leland Grove Police Department and, in February 1999, he was promoted to full-time status. Chief Ryan has since risen through the ranks to his current position. Dan Ryan has been a member of the Illinois Association of Chiefs of Police for many years and has served on the Education committee as well as the Training committee of this organization. He has held or currently holds the following certifications: Firearms Instructor, Range Master Instructor, Patrol Rifle Instructor, Pressure Point Control Tactics Instructor, Law Enforcement Video Instructor, DUI Field Sobriety Instructor, Taser Instructor, Juvenile Officer, Evidence Officer, Cooper Institute Certified Personal Trainer, Internal Affairs Supervisor, Field Training Officer/Supervisor, FOIA Officer and Bike Patrol Officer. Chief Ryan and his wife, Shannon, have been married for 20 years and they have four children. They are active members of St. Judes Catholic Church, and the Benevolent and Protective Order of the Elks. Chief James Kruger is a thirty-six year veteran of law enforcement. 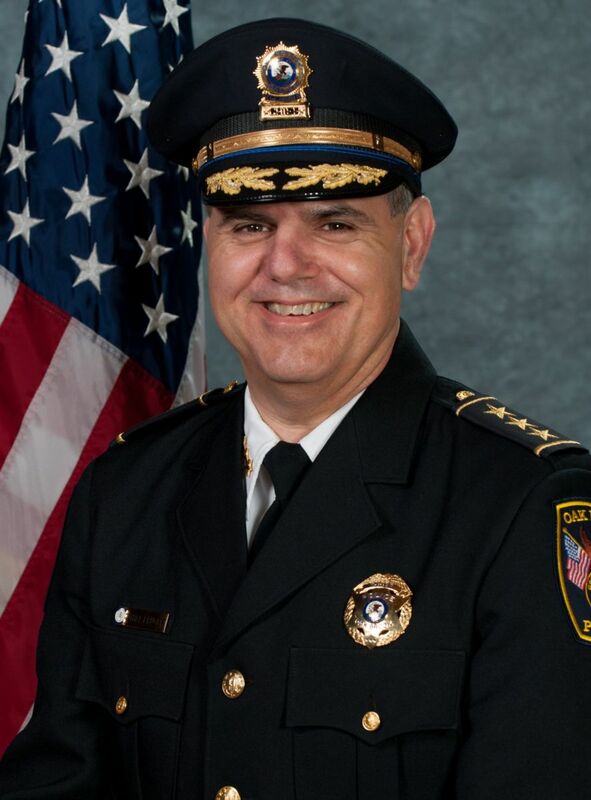 Prior to being appointed Chief of Police for the Village of Oak Brook in 2011, Chief Kruger served as Chief of Police for the Village of Roselle for five years and the Village of Winfield for two. He served twenty years with the Carpentersville Police Department, rising through the ranks to Commander. 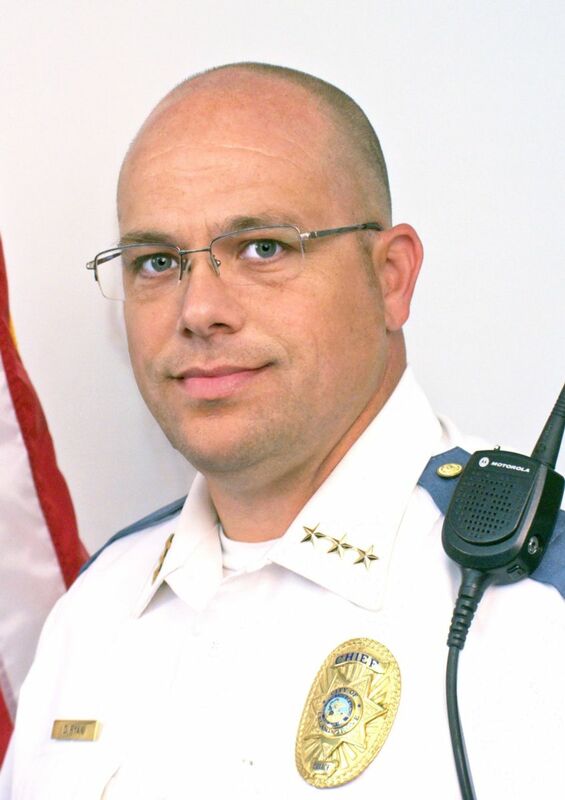 Kruger is an ILACP Certified Police Chief and holds a Bachelor of Arts in Management and Leadership from Judson University, Elgin, Illinois and a Master of Science from National-Louis University, Chicago. He is 1994 graduate of the Northwestern University School of Police Staff and Command, Class #75. He also attended FBI-Midwest Law Enforcement Executive Development Seminar in 2010. Chief Kruger has received the Distinguished Alumni Award from Judson University and the Excellence in Law Enforcement Award from the Illinois State Crime Commission. Jim is married to his wife Karen, and has two children and four grandchildren. Russell B. Laine had retired as Chief of the Algonquin Police Department before accepting a temporary appointment as chief of police in Fox Lake early in 2016. He has since left that position and is fully retired. He is a Past President of ILACP and past president of the International Association of Chiefs of Police. He served in Algonquin from 1985 to 2014. Laine is a Vietnam veteran who served as a combat medic before beginning his career in law enforcement with the Streamwood Police Department in 1976. He holds a law degree from John Marshall Law School and is a graduate of Northwestern University's Police Administration and Training Program.